Why the hell not? 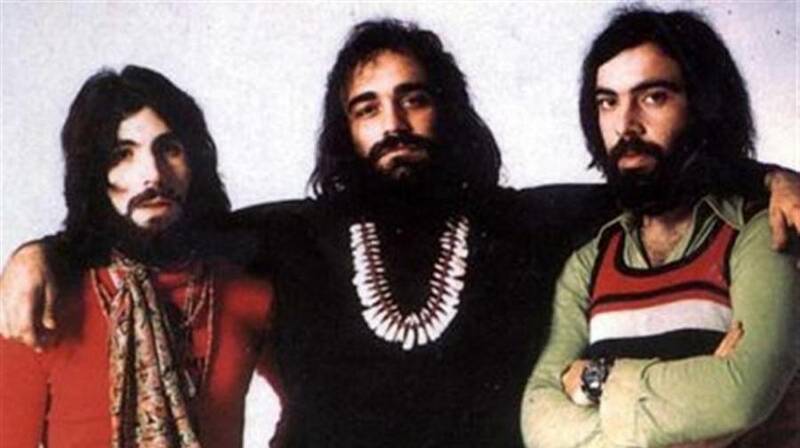 Let's delve deep into darkest psychedelia and prog-rock, do deep in fact, that we go Greek, in the company of Demis Roussos before be became a tent-wearing behemoth solo artist, and Vangelis Papathanassiou before his film score fame. Joined by Loukas Sideras and Silver Koulouris, this, their final album, 666 an epic double released in 1972 was a tour de force of experimentation, reinterpreting the Book of Revelation. of which the Four Horseman is probably the best known. It may even be their best work. What stands out is Roussos's high vocals, Vangelis's chiming bells and synth sounds, and the dramatic drumming of Sideras. The sound has influenced many artists and has been echoed on everything from Beck's Chemtrails with a similar structure, to the vocals on the The Verve's The Rolling People. And in classic prog-psych mode, the lyrics retell the apocalyptic story in Revelations 6 of the lamb of God opening the four seals to the horsemen of pestilence, war, famine and death. Magnificently otherworldly and admirably indulgent, as well as groundbreaking.